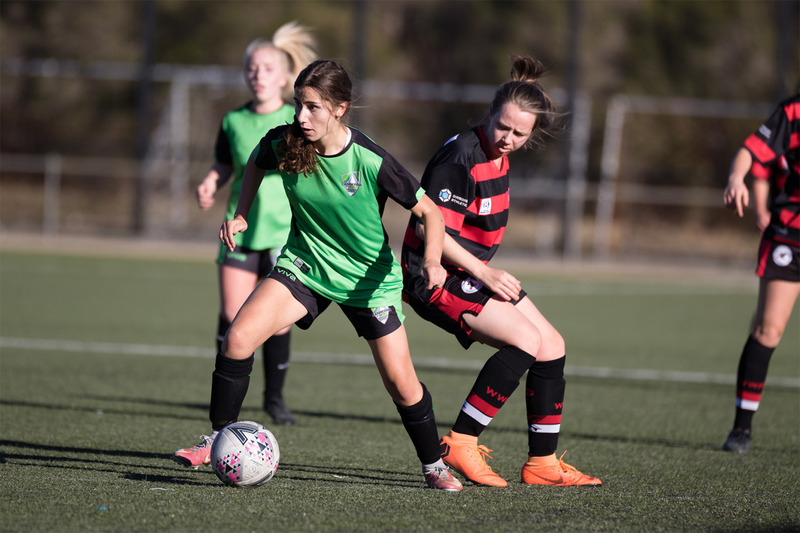 Three players from the Canberra United Academy NPLW side have been selected in Gary Van Egmond’s Young Matildas squad that will head to Lebanon for the AFC Women’s U/19 Championship – Qualifiers Round 1. Karly Roestbakken, Aoife Colvill and Sarah Morgan will all leave Australia on Friday as the Young Matildas begin their path to the 2020 FIFA U/20 Women’s World Cup. Colvill raced away with the Golden Boot this season with a series of brilliant performances that took her to a mammoth 42 goals for the season, while Roestbakken and Morgan continually shone throughout the season in Ryan Grogan’s Canberra United Academy side. The Academy won 15 of their 21 games during the season en-route to a second placed finish and a Preliminary Final berth, and also pushed Belconnen United all the way in a thrilling Federation Cup Grand Final. 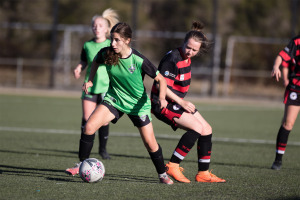 Capital Football CEO Phil Brown congratulated the trio and said the selections reinforced the value of the Canberra United Academy to young footballers in the region. “I’d like to extend my congratulations to Karly, Aoife and Sarah for their selection in Gary Van Egmond’s squad and wish them the best of luck during their time in Lebanon,” Brown said. Australia will need to top their group, or finish as one of the two best runners-up in the first stage of qualifying, to advance to the second round of the qualification process which will be held in April next year. Should the Westfield Young Matildas successfully navigate the two qualification tournaments, they will advance to next year’s AFC U19 Women’s Championship in Thailand where a place at the 2020 FIFA U20 Women’s World Cup will be on the line. The Westfield Young Matildas will depart Australia on Friday, 19 October 2018 and play their first qualification match against Mongolia on Wednesday, 24 October 2018. Australia will meet hosts Lebanon two days later, before rounding out the first phase of qualifying with a match against Hong Kong on Sunday, 28 October 2018. All the Westfield Young Matildas matches this month will be played at the Jounieh Municipal Stadium in Beirut.